Steve and Vesy have been in the CrossFit Central community for years. 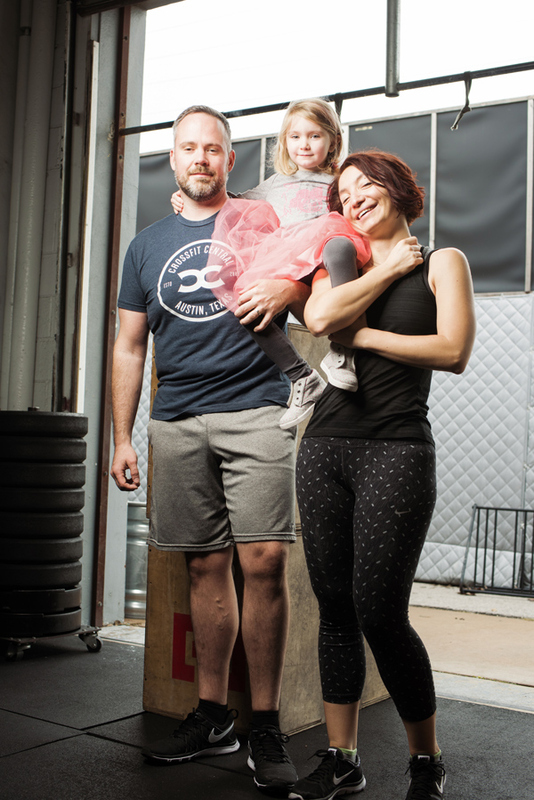 They are busy working and raising their daughter, but still find time to make their fitness a priority and stay committed. Being healthy and active is simply their family’s lifestyle. Not only have Steve and Vesy seen great results since joining the CrossFit Central community, but they have taken on new adventures together like the Tough Mudder! And ultimately, Steve and Vesy are setting an incredible example for their daughter. Why did you both join CrossFit Central? Steve: I joined 3-4 months before my daughter was born, thinking that I should get into shape and do what I could to keep feeling young. I had a lot of stress about becoming a father in my 30s, and the shape I would be in as she got older. I had never been a part of a workout community like CrossFit Central, or done a lot of weightlifting, so it felt like a big challenge. Vesy: I joined after Steve had been going for awhile. I’d just had my daughter and wanted to get back into feeling like myself. I was pretty heavily into yoga and that was the extent of me being active, but when I went back to that after the baby it didn’t feel right and didn’t seem to be doing much either emotionally of physically. Steve kept suggesting I try CrossFit and I pretty much told him he was crazy and it was never going to happen. This was really not my thing, lifting weights seemed way too aggressive and entirely out of character for me. But he kept bringing it up, so with the biggest eye roll I told him I’d give it a shot. His description of the community aspect and the camaraderie was a big part of why he was able to convince me. What was your life like prior to CrossFit Central? How did you feel emotionally, physically, and mentally? What was your lives as a couple like? Steve: I was an overweight child and teenager, and I’ve spent most of my adult life trying to correct that through diet or some kind of exercise. 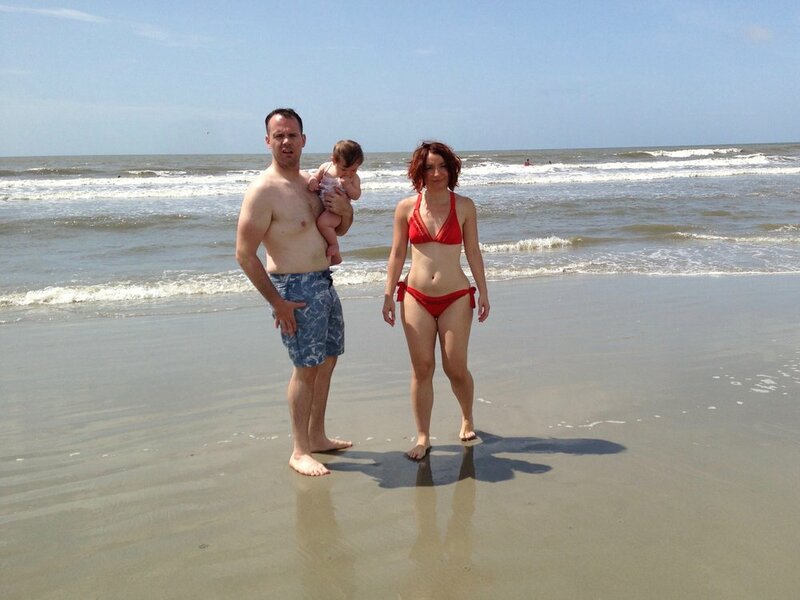 I ran a lot in my 20s, but had to give it up because of degenerative lower back issues. I felt a bit lost without running, and thought my options for keeping fit were limited because of my back. We picked up yoga for awhile, which helped, and it was the first fitness thing we’d done together, but we fell out of the habit when we moved to Austin before our daughter was born. Vesy: We sit for most of the day in front of a computer. It’s not very healthy. Steve used to run regularly, but I was never active enough to counter-balance our sedentary lifestyle before we started CrossFit. I was feeling out of sorts physically and emotionally after having our daughter. I felt like I’d had a personality transplant and everything was a little bit harder than it needed to be. I was tired all the time, my confidence was really shaky, it didn’t take much for me to feel off-balance. Steve: I immediately felt better emotionally and mentally, and it only took several weeks to feel the difference physically. I’ve gradually increased my strength and lowered my body fat over the last 3 years, but what I didn’t expect was how beneficial CrossFit would be for my lower back. Before CrossFit, I would slip a disc at least once every couple of months, and it would put me out of commission for a week or two at a time. The core and back strength CrossFit has given me has almost eliminated those periods, and I can’t remember the last time I was out of commission with a similar level of pain. I feel stronger, younger, and more able to be active than I did in my 20s. I have little to no fear about trying new physical things. We signed up and competed in Tough Mudder last year, which is definitely not something either of us would have ever entertained previously. Vesy: The biggest shift for me has nothing to do with how I look, though the improvements there have been a nice bonus. It’s been a significant transformation mainly because I did something that was very hard for me, completely out of my comfort zone. I forced myself to ignore the voice that said ‘you’re not that type of person’ and then I did some things that I never thought I’d see myself doing. I’m much stronger physically. We traveled to Europe last year with our daughter who was 3 at the time, and it was amazing being able carry her when she got tired and not feel tired myself. I remember carrying her up the hill to castle Heidelberg. That is a steep incline, but it felt great that it wasn’t a big deal for me to do it. I’m also much stronger on a deeper and more significant level. I take more risks and I recover faster from failing. I try things that are ‘not me’ because I’ve already broken past that mental barrier so I know it can be done. Vesy: It has really built up my resilience, and killed my fear of pain. Pain and that free-floating feeling that comes when you try something hard for the first time is now a signifier for growth and something to lean into. I’m calmer in the face of these things. Steve: I am more focused, and I more effectively prioritize healthier, productive things in my life.